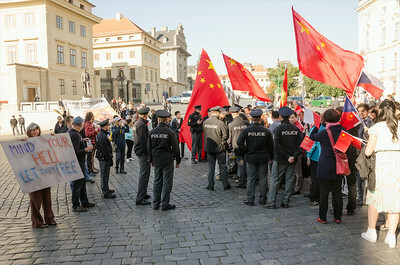 Demonstration responding to the China Investment Forum 2014 in Prague, August 28-29. 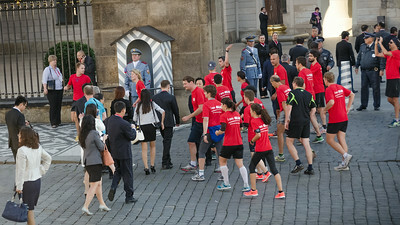 Before the beginning, Day 1. 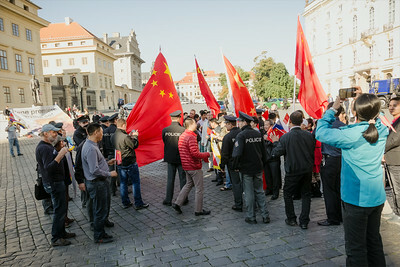 Picture just before the demonstration responding to the Chinese Investment Forum 2014 in Prague, August 28-29 2014. 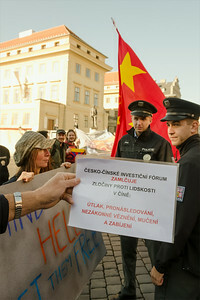 Before the beginning of the Forum, Day 1. 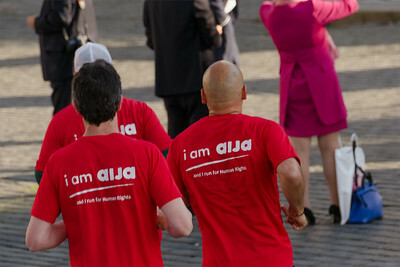 Participants of the Forum just coming to the event, and AIJA running to the gate. 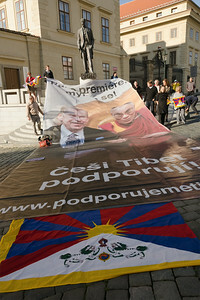 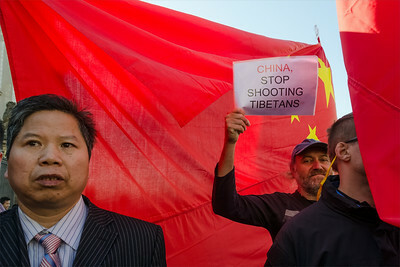 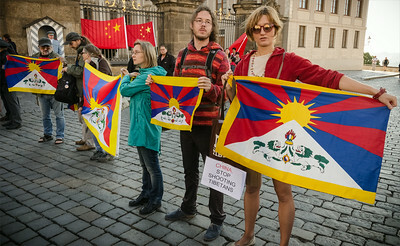 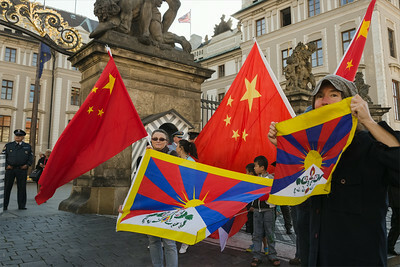 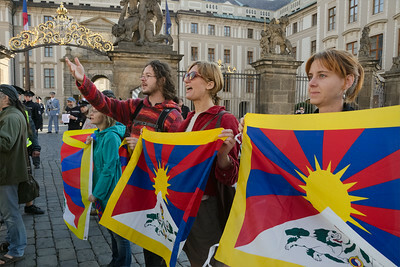 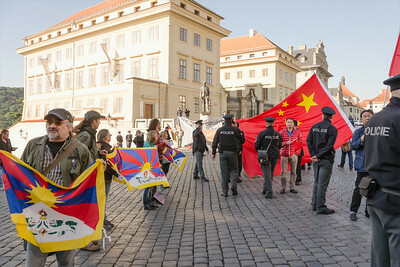 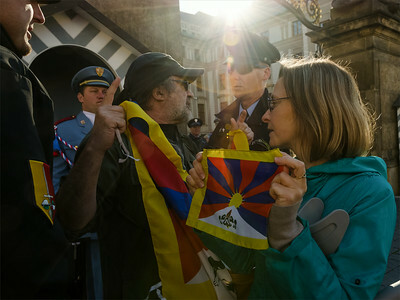 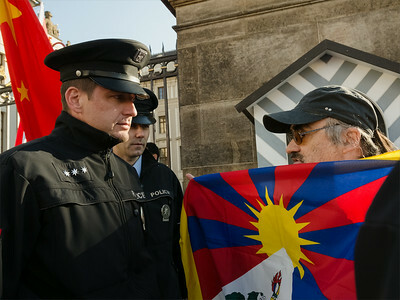 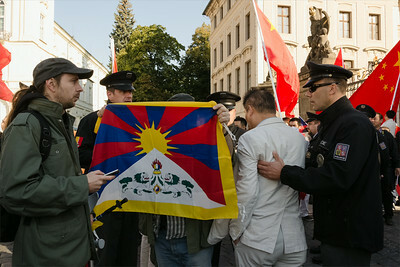 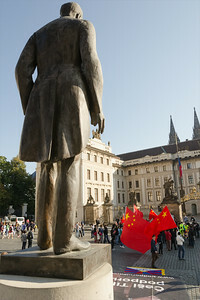 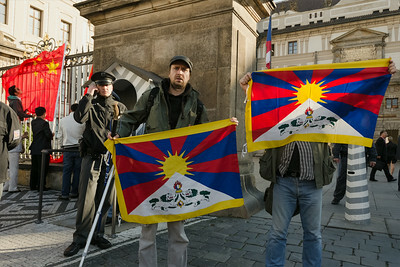 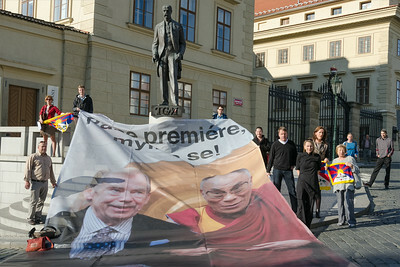 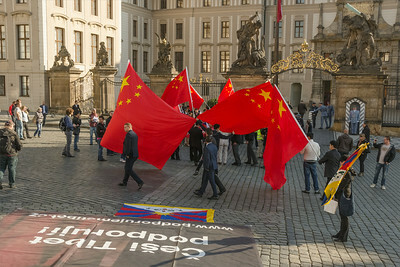 Picture from demonstration responding to the Chinese investment forum in Prague, August 28-29 2014. 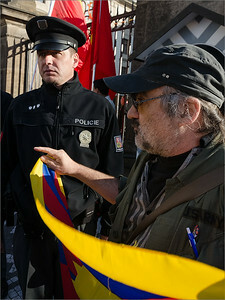 Before the beginning, Day 1.